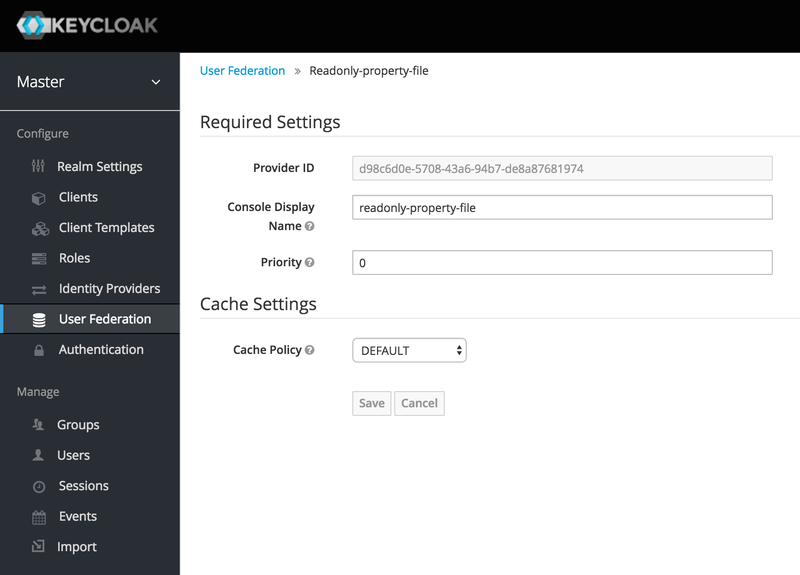 bin/jboss-cli.sh --command="module add --name=org.example.mytheme --resources=mytheme.zip"
bin\jboss-cli.bat --command="module add --name=org.example.mytheme --resources=mytheme.zip"
KEYCLOAK_HOME/bin/jboss-cli.sh --command="module add --name=org.keycloak.examples.event-sysout --resources=target/event-listener-sysout-example.jar --dependencies=org.keycloak.keycloak-core,org.keycloak.keycloak-server-spi,org.keycloak.keycloak-events-api"
// List of your JPA entities. // This is used to return the location of the Liquibase changelog file. // You can return null if you don't want Liquibase to create and update the DB schema. // Helper method, which will be used internally by Liquibase. 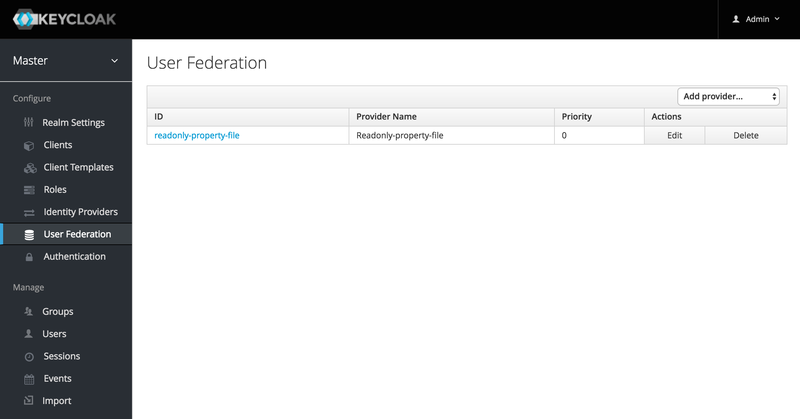 For details on how to package and deploy a custom provider refer to the Service Provider Interfaces chapter. 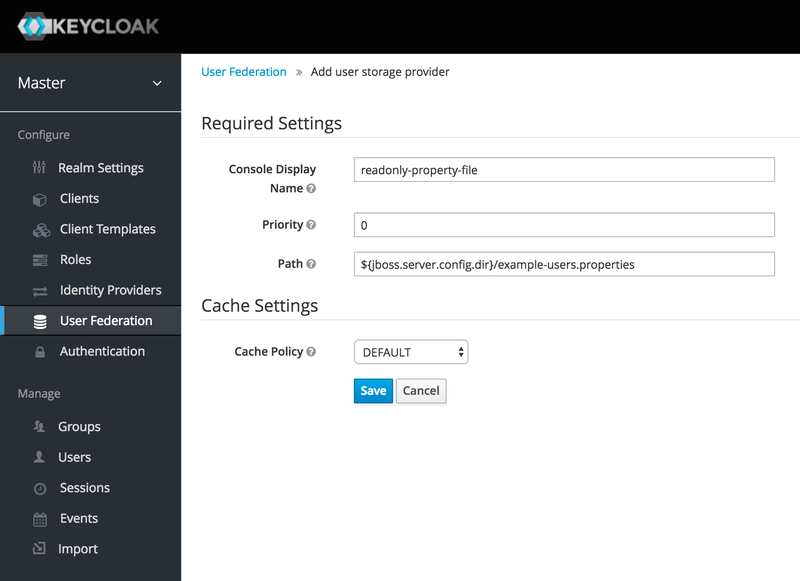 * This is the name of the provider and will be showed in the admin console as an option. * called per Keycloak transaction. 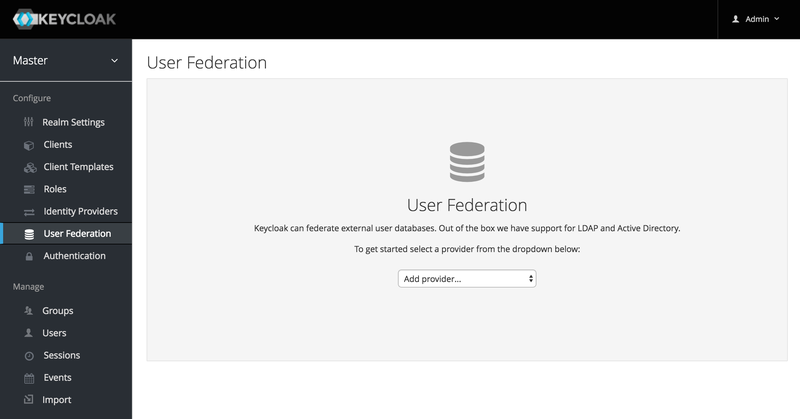 With the import approach, you have to keep local keycloak storage and external storage in sync. The User Storage SPI has capability interfaces that you can implement to support synchronization, but this can quickly become painful and messy. * All these methods effect an entire cluster of Keycloak instances. * Evict user from cache. * When was the model was loaded from database. * Returns a map that contains custom things that are cached along with this model. You can write to this map.